A new baby brings a lot of happiness into a home but there is a lot to organise and, even long before the birth parents ask themselves what do they really need to buy. 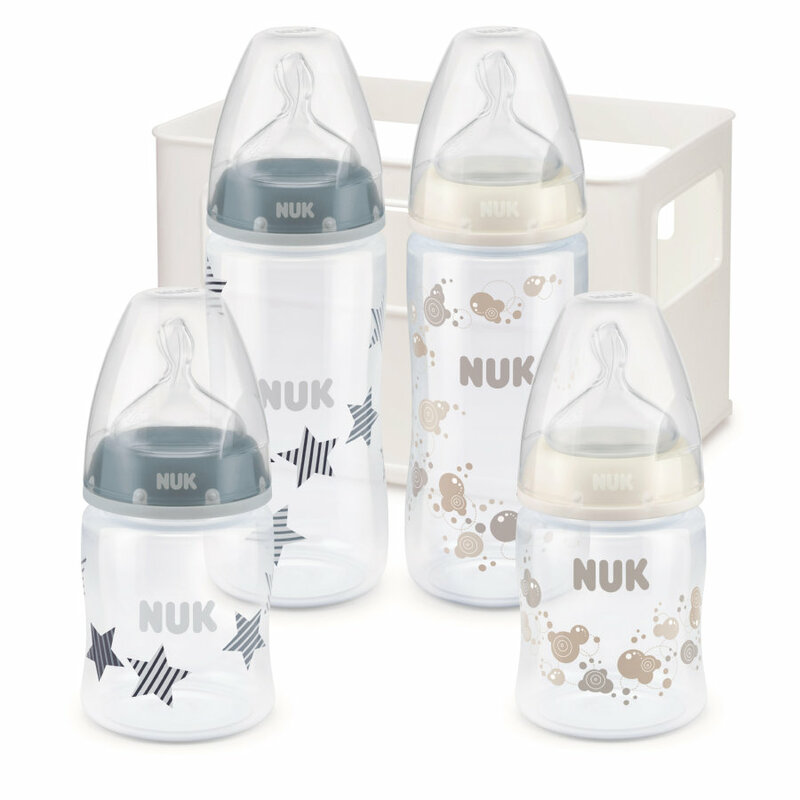 From NUK, there is a starter set for boys - the NUK First Choice+ Boy Set. With the high-quality set you have everything right from the start. It contains a bottle box for storing up to six NUK First Choice or other NUK Baby Bottles. The box is made of the light and very resilient synthetic material, polypropylene (PP). The set contains four NUK First ChoiceBaby Bottles in polypropylene (PP) with great motifs: 150ml bottles for smaller appetites and two 300ml bottles. The PP baby bottles are light and durable. The non-slip screw ring makes the bottles easy to open and close while the wide bottle neck makes them simple to fill and clean. Every NUK First ChoiceBaby Bottle in the Starter Set comes with a silicone NUK Teat that is right for the jaw with a naturally wide lip rest, which give babies a familiar feeling as if at the mother’s breast as they drink. The NUK Anti-Colic Air System of the teat helps reduce the risk of colic, as your baby swallows less air while drinking. All NUK First Choice Baby Bottles are suitable for when you both bottle and breastfeed and “grow” with you – as your baby grows the bottles are easy to combine with other NUK First Choice Teats and drinking lids. The four bottles of the set come in a practical plastic box which can be also used at home for storing, draining and transporting up to six bottles and other accessories. The ideal present for new parents: the NUK First Choice+ Boy Set – the practical basics for boys.